This eco-resort on Sunset Beach offers the chance to unplug and soak up some rays. If you’re looking to take a timeout from technology, a trip to Sleeping Trees to unwind might be in order. 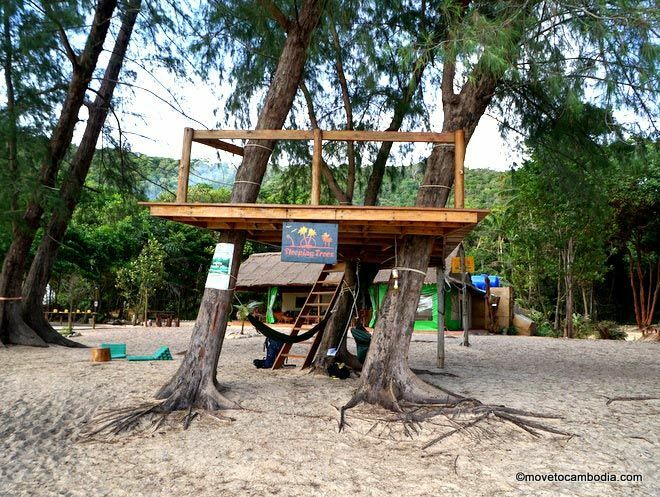 Located in the middle of Sunset Beach, Sleeping Trees is nestled in the cleft between the beach and the jungle on hill above. They rent two types of unique tents that offer the chance to fall asleep to the sounds of the jungle or of waves lapping against the shore. If you’re looking for something slightly more…indoors, they have a few tidy concrete bungalows. Get away from it all at beachside Sleeping Trees on Koh Rong Sanloem’s beautiful Sunset Beach. Like most of the island bungalow resorts, Sleeping Trees has a distinctly laid-back feeling, but we also caught a whiff of efficiency about the place that’s much less common. The pool table was pristine, with nary a piece of lint on it. 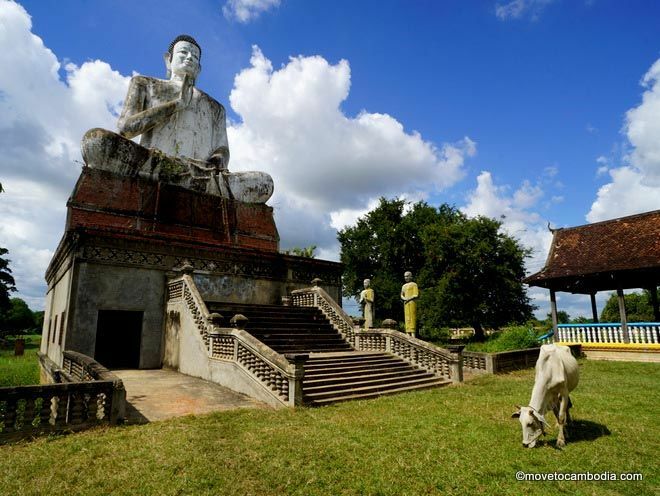 The pétanque and volleyball courts were freshly raked, as was the sand around the large lounging area and restaurant, which serves the usual Khmer and Western dishes. They also have darts and board games and seem determined to make sure that guests who want to do more than just lie in a hammock will have more than a few choices. There’s also an excellent snorkeling spot out front, and on moonless nights it’s possible to see bioluminescent plankton ethereally glowing in the water. Sleeping Tree’s tree tents are tied to trees and suspended off the ground. In terms of accommodation, there are two types of tents on offer. 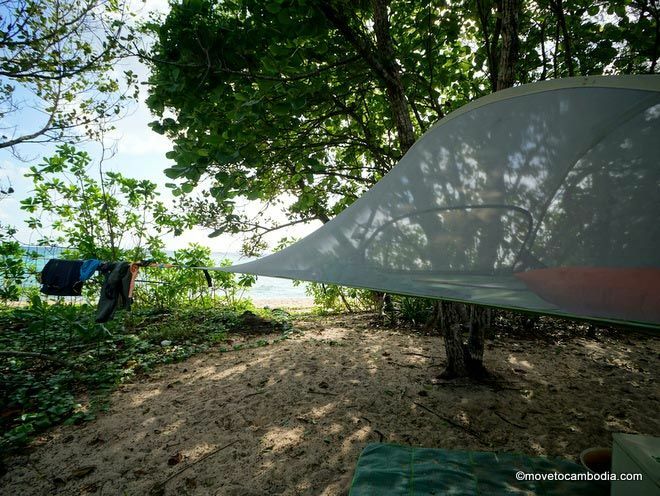 The first are beachside tree tents, which are elevated sleeping tents for two that are tied to adjoining trees so they are suspended a few feet off the ground. They’re surprisingly sturdy, with pillows and bed linen inside, and offer the best of both worlds — the chance to sleep on the beach without having to worry about getting sand in your bed. In addition to the beachside tree tents, they also have tree tents in the jungle, where you can wake up to the singing of the many species of tropical birds found on Koh Rong Sanloem. Each of the tree tents has a lock-box below to keep your possessions secure. Don’t let the word “tent” put you off. This is more like a hip yurt. The other type of tent at Sleeping Trees is a large cotton affair, but do not let the word “tent” fool you: these tipi tents are more like hip yurts. 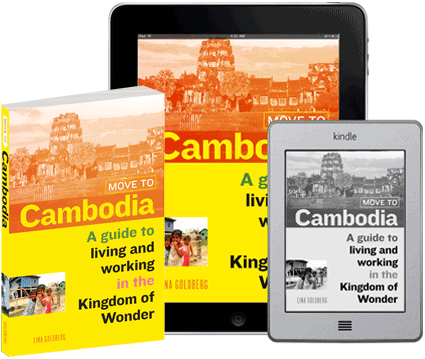 Each one is quite large, with a proper floor, a full-size double bed with mosquito net, and room for small pieces of furniture, a rug, and a security box. If, like us, you recoil at the idea of staying in a tent, these might make you change your mind. 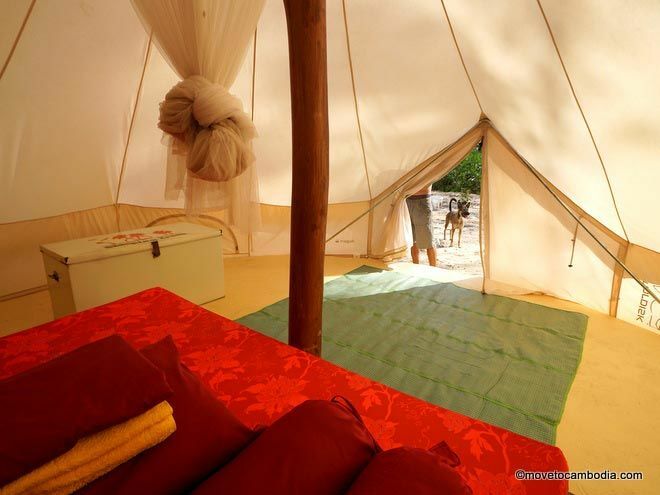 Both the tree tents and the cotton tipi tents use a shared bathroom and shower. For more traditional guests, there are also concrete bungalows. They also have concrete bungalows, which may sound less glamorous than wooden bungalows, but actually they’re a whole lot nicer, if only for the reason that they are less easily penetrated by biting insects. The bungalows at Sleeping Trees are clean and no-frills, but come closer to the hotel experience than most of the nearby bungalows which can feel more like camping. 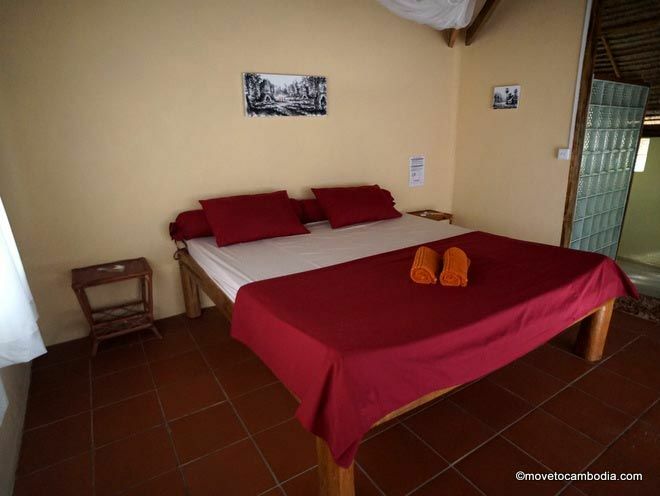 The bungalows are fan cooled, with large glass windows, and have an electronic safe and tiled bathrooms. Each has private balcony with a table and chairs that look out towards the sea. During high season, Sleeping Trees can be reached by the 2 p.m Buva Sea ferry from Sihanoukville and how to get to Koh Rong Sanloem. → Check prices and book a room at Sleeping Trees on Booking.com now.